I'm not sure whether I can share my experience here.. however, I am saying this. When I start enquiring to myself, I first loosen my body and stay calm.. During this stage, if thoughts come, i either say to myself as 'let it go and i don't care' or try to find out why that thought came and rewind the thought step by step.. When i rewind and reach to the source of the thought, i see that a kind of selfishness binded with ego is the root cause (like my project or my name and fame in office or my respect in family and etc..). This was difficult initially as, rewinding thoughts was tougher as i may forget what was the previous thought or feeling.. after i quiten and loosen, slowly, i will experiece that my breath is going up and down. Then i will try to find out who is the experiencer in this. During this step, slowly i get a sensation in the heart centre and sometimes, I feel like some small vent or door that is opening and closing whenever the breath goes up and down. Further to this, I may forget myself for few seconds, and when I again return to the stage of experiencing the opening and closing, i gasp for breath and again i start the whole process. I always feel I am guided from inside and follow the steps of Bhagawan. Please share your thoughts. Finally, I thank you so much for reading this post on my experience with patience.. I am of the view, that you are proceeding on the right direction. to go beyond the ego less state. Perseverance and efforts are insisted in Sri Bhagavan's teachings. Thanks a lot for your reply.. I too don't know why would I gasp for breath or want to take a long deep breath.. However, my efforts are continuing. I also had a question on my practice. I find this also quiets down my thoughts very effectively. I figure if guru and Self are the same then it is an expression of love for Bhagavan. I do feel a natural love for Ramana so it's not a forced thing, either. But I did want to ask if this was considered appropriate (To create my own sort of prayer to Ramana) or if it was better to just do traditional self-inquiry exclusively. Name and even sometimes form can go along with self inquiry. Arunachala Siva, Aruanchala Siva.... I am able to feel the quietening of the mind. The question and answer method did not suit me. Even at bed, before going to bed, I chant within me Arunachala Siva, Arunachala Siva.... and then fall into sleep. When I get up occasionally around 3 am and get up in regular waking up at 5.30 am or 6.00 am., I find that I am chanting Arunachala Siva, Arunachala Siva.... 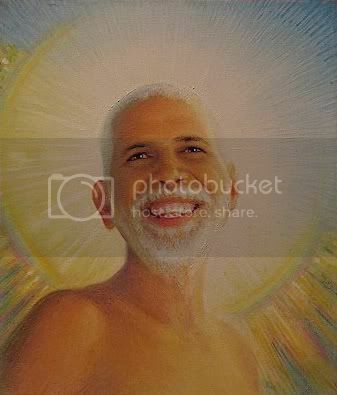 Very rarely, I feel Sri Bhagavan in my Heart. Sometimes during self-enquiry breath becomes turbulent instead of becoming steady. I think powerful vasanas are the reason for this. Perseverance is the only way. Surely Bhagavan guides us from within. anyways, path of Jnana is not same for everybody.. It is the decision of Bhagawan. So, something within me made me to try all these and it happened as such..
Bhagavan said in Talks No. 384: "The good tendencies and bad ones [Suvasana and Kuvasana] are concomitant, the one cannot exist without the other. May be that one class predominates. Good tendencies [Suvasana] are cultivated and they [after destroying the other ones - must also be finally destroyed by Jnana." of the mind into Consciousness is the finality. shade of the tree. But again after some time goes into hot sun. This man is an aviveki. A Jnani ever remains in the shade of the tree. all is well. Bhagavan Ramana has attracted you. You know His teaching. All else will take care of itself. Everyone experience is and will be similar on this path, only the words and how the experience is described may differ. Don't pay attention to thoughts. This I can tell for sure: leave them alone. Who is the looker? Relax into it, sink. Sinking happens from the heart area. The mind will play many tricks to bring back you to the body. I agree with Udai too. That's why I'm trying to solve the issue at the source itself... as long as we say we experience this and that.. it would mean mind is still acting or cheating us.. I have felt sometimes, my mind is cheating me by emulating or simulating the 'Self'. For, i have read the qualities of self and remains in mind, as it will be illuminating so bright and ever lasting, may be in heart centre and etc etc.., my mind once created such a scene in my dream, or i think while waking from sleep, like a bright light emanating from heart centre and will try to make me believe this is self..
at such times, i only resort to Bhagawan's words. B'cos there was an experiencer still. Like, once when Bhagawan as asked what will he do if Shiva appears in front of Him and He replied saying He will question and order such shiva as not to come in front and exhibit plays... becuase that is not possible when HE Himself is THAT..
Out of all the desires, the desire to realize the self should get stronger and stronger by beating down all other feelings or emotions and we should be ready to give up anything for it without any expectation.. that should help us and take us inside as i believe..
and, meditation has to be continuous.. and for me meditation is only vicharam and it has to be as much continuous as possible.